How many librarians does it take to move a Law Library? Answer: we managed it with 2 members of library staff and some help from agency workers. Ooof! 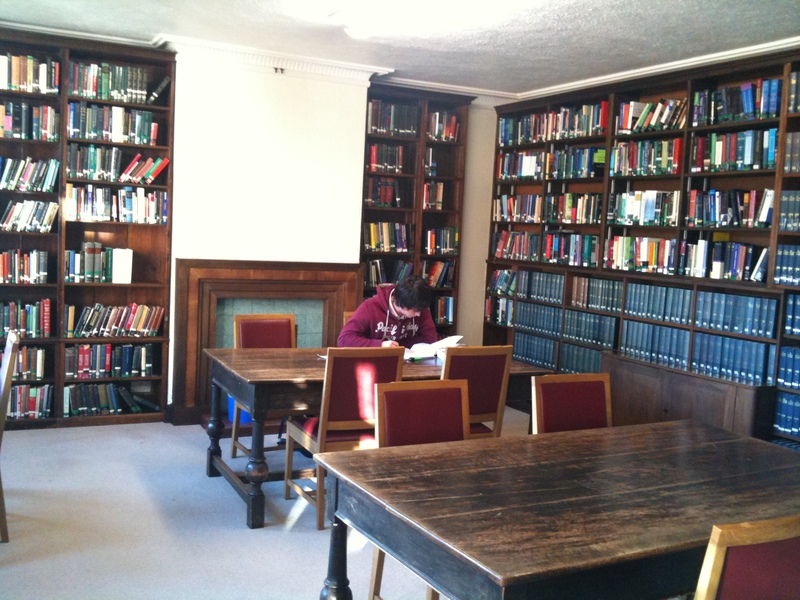 Until now, the Law collection had been accommodated separately from the main library, in a different building. This made it difficult to care for the collection in the same way as the main site, and the library was beneath a bathroom which had flooded in the past and damaged the books in the room below. Moving the Law collection into the main library would bring its books and journals within the perimeter of our new RFID security system, allow the students to access the college WiFi network, and make it much easier for the Law students to make enquiries and be helped by the library staff. 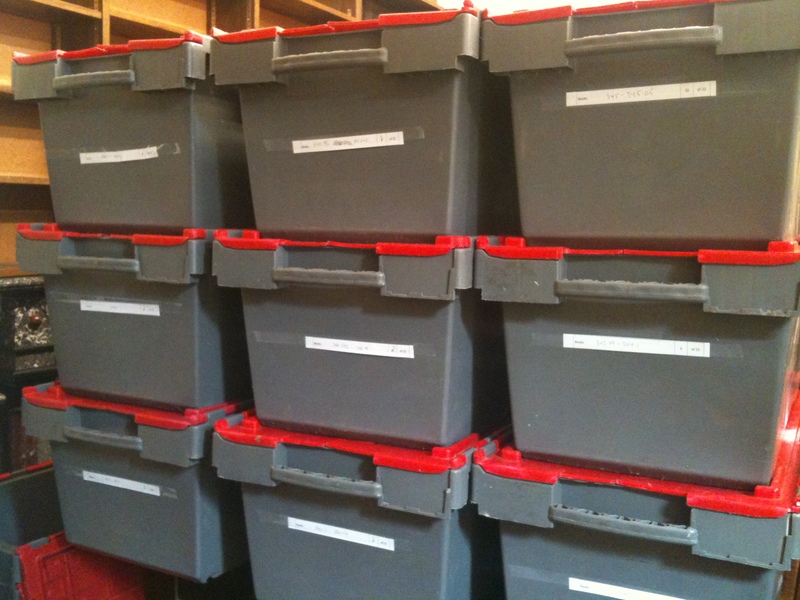 To begin with, all the books and journals were packed into nearly 100 crates. Shelving from the old Law Library was dismantled and re-fitted in the new room, which was also redecorated and had a WiFi access point installed. The crates of books and journals then had to be moved to the new room, unpacked and placed onto the shelves in the correct order. It was at this point that the value of careful labelling earlier on really came into its own, and the job was done in 2 days. 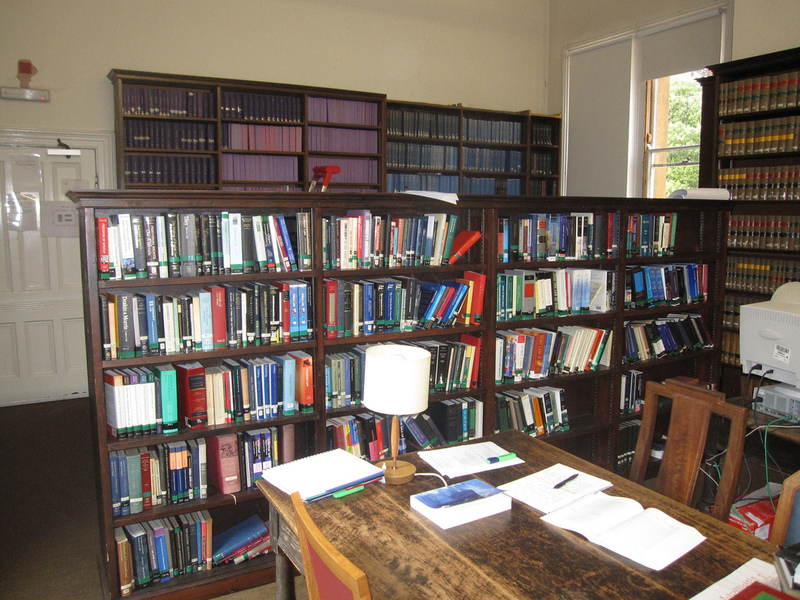 The new Law Library provides a comfortable and well-equipped space for study, in a room with a beautiful aspect over the college gardens, and close to all the other resources in the library, including the staff!